Set in an enviable position looking out over the famed Swiss resort of St. Moritz, Nira Alpina is a ski hotel with a difference. Designed with the independent traveller in mind it is a haven of quiet boasting stunning mountain views from its numerous panoramic windows. 70 light-filled bedrooms are decked out in locally sourced wood and granite giving a super luxe feel to the slick Swiss design. Nira Alpina’s idyllic hillside setting means there’s none of the usual trundle to the lift in your ski boots palaver – it’s simply ski in, ski out. The little village of Silvaplana is no more than a 20-minute drive from Samedan Airport, which is where we’ll be whisking you away to. A mere five kilometres from Nira Alpina awaits the glamour of St. Moritz where, if you can drag yourself away from your mountain perch, you’ll find a bustling ski scene complete with world-class restaurants. Effortless luxury at Nira Alpina means that the hotel is conveniently connected to the Corvatsch cable car station which will whisk you up to the highest ski point in a little more than 15 minutes. From there, 120 kilometres of snow-sure slopes will be yours for the taking not to mention the midnight skiing which is on offer each Friday. Given the stunning location of Nira Alpina, it’s not surprising that every bedroom offers breathtaking views. From the lofty Engadin peaks to sweeping lakes below and snow-laden hills beyond, at Nira Alpina you will be guaranteed an invigorating vista with your morning coffee and with more than 300 days of sunshine you can soak up the Swiss atmosphere on your own private terrace. All rooms are spacious and airy with a muted earthy colour palette and a clean contemporary feel as you’d expect from a Design Hotel. 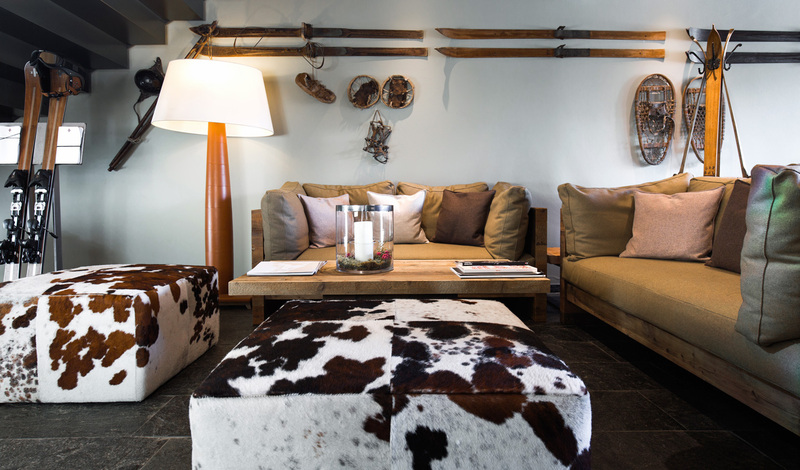 It’s the perfect place to rest your head after a fast-paced day on the slopes. Nira Alpina is our Swiss ski hotel of choice. We love its hushed elegance and warm welcome, but the real icing on the cake is kicking back after a hard day on the mountainside in the hotel’s rooftop bar cosying up to the roaring fire as darkness descends on the surrounding slopes. Dinner at the Stars restaurant with its contemporary twist on Asian and European choices is also well worth a visit and provides an appetising alternative to traditional Swiss fare.